Southern has prepared a selection of best in class self-service, single and multi-level, cheese displays along with back bars that when combined create powerful, towering presentations. Organic curves and radiuses in the display cases provides a subtle elegance for the shopper. 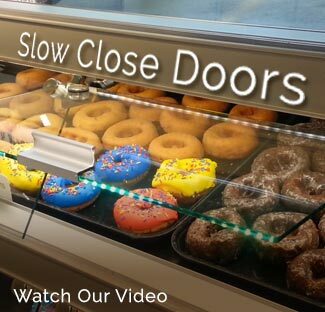 We also provides a complete assortment of Island merchandisers that fit in today’s new small format stores as well as standard or larger supermarkets. Our EVO Islands are available in three widths and three different heights. We have also included photographs of our MDI, RIM, and XLI Islands. These Islands offer Industry leading presentation, lighting, and merchandise pack out. Our zone of convenient reach has been thoughtfully developed to provide ease of shopping for the diverse heights of today’s shoppers. Interior finishes are black or stainless steel. All case lighting is energy efficient LED Lights. The exterior finishes are available in any of Southern’s 188 standard color finishes.